There's no real cure for the common cold, but a little bit of whiskey or bourbon (that's a little bit, we said) could offer some relief. The classic hot toddy, typically made of whiskey, honey, lemon juice and hot water, can subdue the injustices of your inevitable winter cold. The hot water of the toddy helps to relieve nasal congestion, just like heat of a bowl of chicken noodle soup (or Jewish penicillin) does. And the whiskey helps with sniffle issues, too. 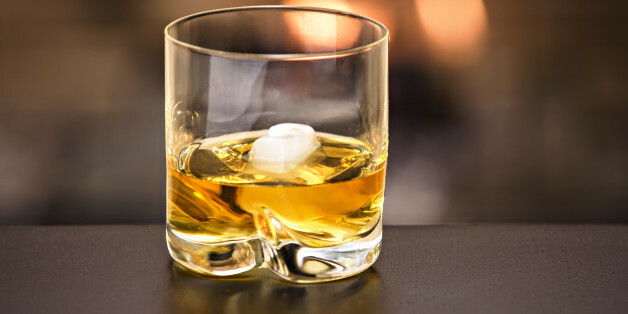 “The alcohol dilates blood vessels a little bit, and that makes it easier for your mucus membranes to deal with the infection,” Dr. William Schaffner, chair of preventive medicine at Vanderbilt University Medical Center, told ABC News. Before you go ordering a half-dozen Manhattans from the local pub, know that too much alcohol will do anything but make you feel better. Alcohol is a diuretic, which means it pulls fluid from the body. You know how after a wild night out you wake up with an unquenchable thirst (and a horrible headache)? This is because you're dehydrated. When you're already feeling like crap, you'll especially want to avoid hangover symptoms. So if you are self-medicating with one (ONE!) hot toddy, make sure to drink extra amounts of other, non-alcoholic beverages, like water, to replenish. Like your mother always told you, drink plenty of fluids, especially when you're nursing a toddy. Editor's note: If you can't even stomach the idea of alcohol mixed with incessant sneezing, try fire cider vinegar -- the ultimate, non-alcoholic homemade remedy.